When they killed her man--she became dangerous. Five years after her beloved husband's death, Kate Stone suddenly learns that it was no accident. Instead, it was a full-on, calculated, cold-blooded murder. Enter Ben Cade, the first love of Kate's life--a man she hasn't seen in sixteen years. Now a former SEAL turned private investigator, Ben agrees to help Kate learn the truth. And just as the love they once shared for each other begins to heat up, chaos ignites as twists, turns, death threats and deceptions abound. 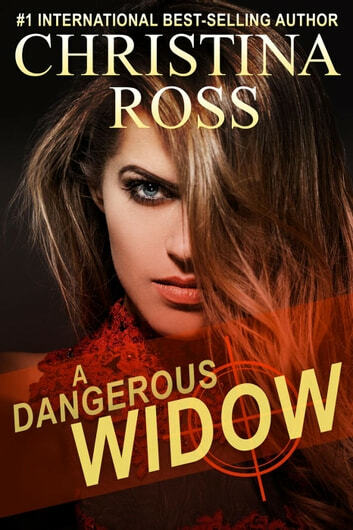 "A Dangerous Widow" is a thrilling, harrowing story of romantic suspense from #1 internationally best-selling author Christina Ross, whose books have sold more than two million copies worldwide. Had me guessing through the entire book! Christina Ross is one of my "go to" authors. I know her books will be fast-paced, have interesting characters, and keep you on your toes from start to finish. A Dangerous Widow is no exception. Not many people get a second chance to love deeply, but Ben and Kate do, and though the circumstances are horrific, they make it. You can feel their passion for one another and that is a rare gift from the author. Christina is one whose books I read a second and third time, and there are only 4-5 authors that share that experience with. I have read every one of her books and am never disappointed.... except for not wanting the story to end. I'm looking forward to the next book in this series and more from anything Christina writes!